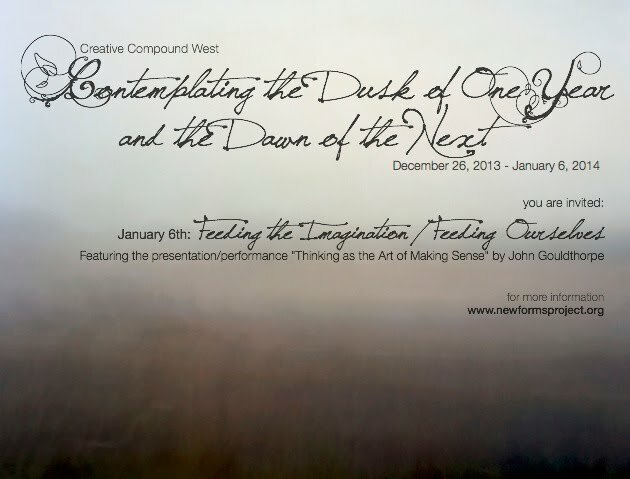 Creative Compound West was a unique collaboration between John Gouldthorpe and Jordan Walker. 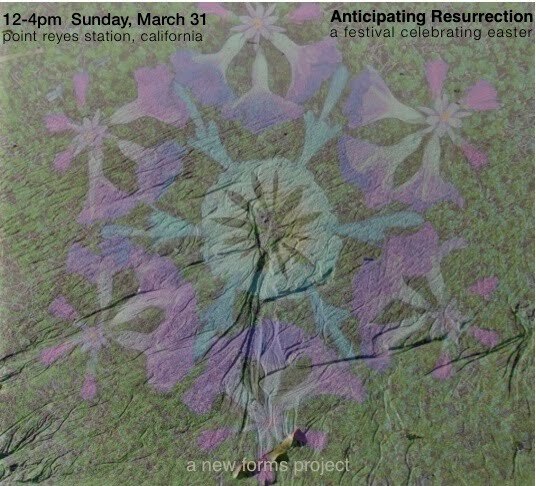 Jordan's residency as a social sculptor took place in Point Reyes Station, California for two years between June 2012 and June 2014 and involved numerous public festivals arising from countless creative "sessions". Below are a few artifacts of our very fruitful time sharing space. For 12 sunrises and 12 sunsets Creative Compound West reflects on the old and set intentions for the new. At nightfall on Saturday, November 2, 2013 60 masked All Souls Masquerade festival participants delighted in an immersive atmosphere of that offered a glimpse into other worlds. Worlds which in the words of Rilke, do not exist without our unique human beholding, for our looking "ripens things, and they come close to meet and be met." In the traditional All Souls festival, participants believed that the dead are still with us and that they are nourished by our loving attention. To explore this phenomenon and come to our own understandings, we gathered photographs and everyday-objects-with-a-story from loved ones on the other side and grew together an altar. We created a banquet of finger and "small plate" food and drink in honor of those who have passed the threshold. We Included a small card with the person (or people's) name and some small element that Masquerade participants could hold in mind as we enjoyed the food and drink for those in whose memory it was brought. Music by Kai Xin, Mask Dance by Ernesto, Visuals and DJ set by Jordan Walker - atmospherics by everyone involved! We prepared a blank canvas and were incredibly moved by what arose to leave its mark.